Please read our return policy before ordering. 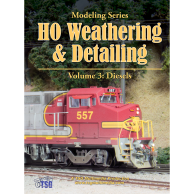 HO Weathering & Detailing Volume 3 shows how to make diesels look more like the real thing. In HO Weathering & Detailing Volume 3, each model is detailed to match a specific prototype at a specific time. 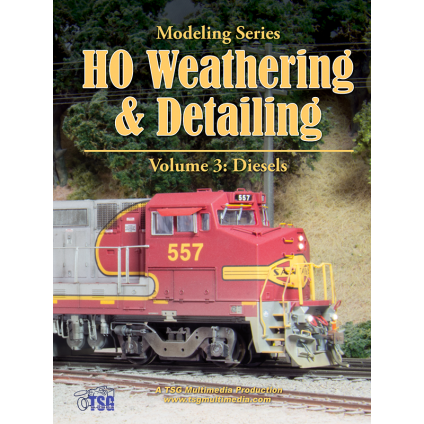 HO Weathering & Detailing Volume 3 is a how-to video about aging and applying additional details to HO scale diesels. 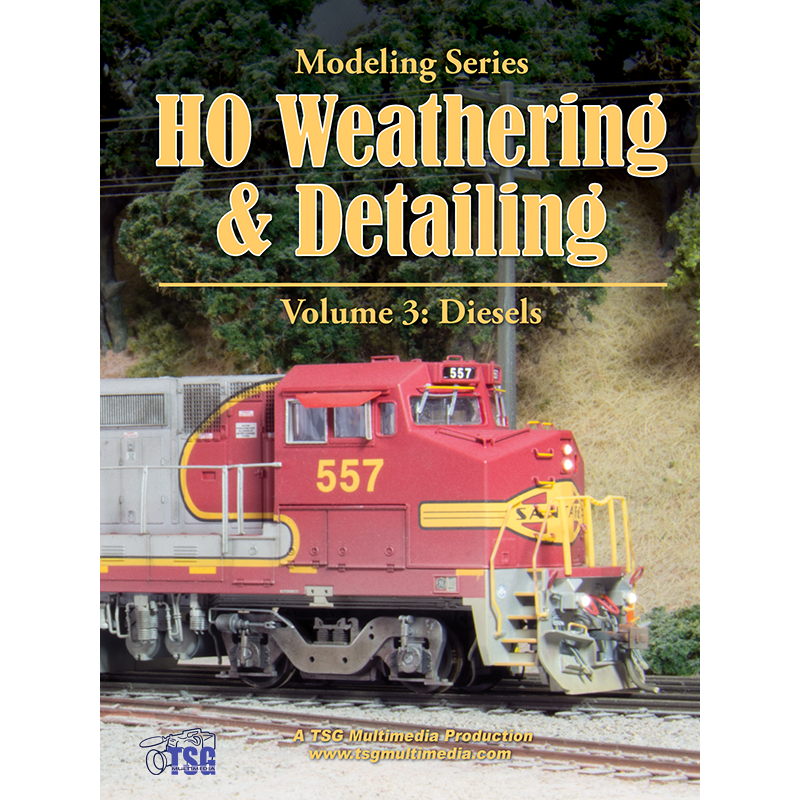 Weathering and detailing are two of the best ways to improve the appearance of a model diesel. A weathered model looks like it is part of its environment. Real trains gather dust, dirt, and grime as they travel. Very old or neglected equipment may get rusty. Newer equipment will look cleaner. The goal is to make the model look like the real thing. But that is just part of the story. 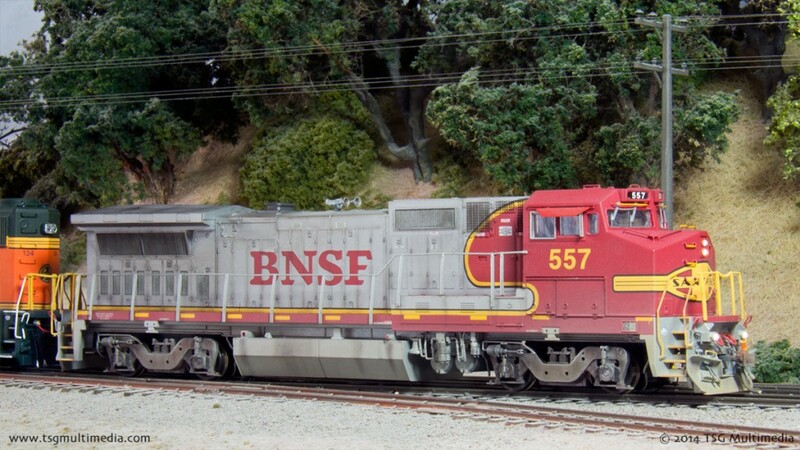 Many locomotive models can be made more accurate by using aftermarket parts to add details that the manufacturer omitted or to replace out-of-scale or incorrect details. In this program we take you through four diesel builds from start to finish. We’ll use four completely different models to illustrate a variety of techniques. Each locomotive is painstakingly aged and detailed to match a specific prototype at a specific time. We take on a wide range of detailing projects. We’ll cover everything from simple tasks like adding sunshades to more involved jobs like fan replacement. 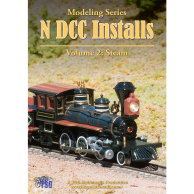 We’ll show how to build new handrails, how to apply pilot and underbody detail, how to selectively repaint portions of a model, and more! Follow along as we demonstrate our techniques for painting and aging wheels and trucks, adding dirt, dust, and exhaust stains, making paint appear faded, and more! We show ways to improve factory lighting. We’ll also show how to add speakers to models not originally designed for sound. 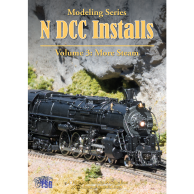 All the models in HO Weathering & Detailing Volume 3 feature LokSound DCC decoders courtesy ESU. 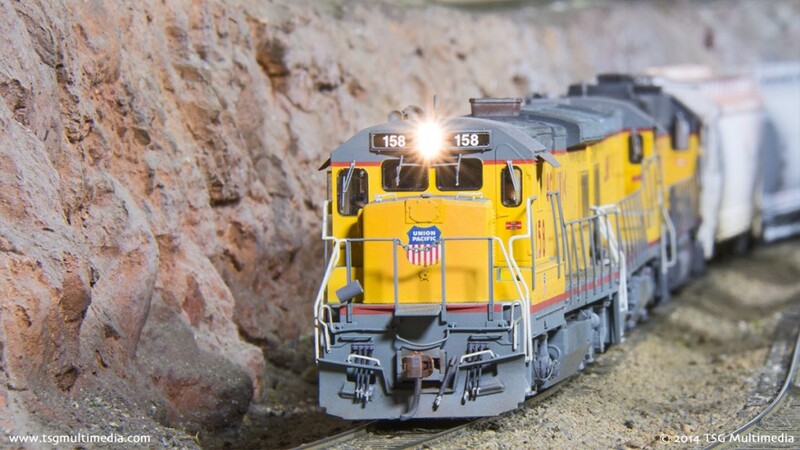 Join us for some HO scale model railroading fun!